A one of a kind example of incorporating personal symbols in wedding rings. This 14 Kt White Gold wedding set was designed for a couple who are mountain climbers. The wedding band showcases two major mountain ridges and a sunrise. 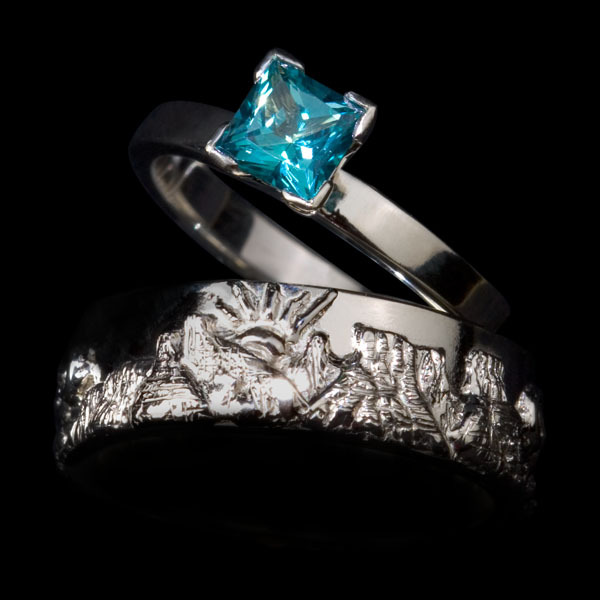 The engagement ring shows her preference for a topaz over a diamond.